Computergate’s On-Site Replacement Service, now complementing Synology’s Advance Replacement Service, is being offered on all Enterprise & SMB customers throughout ANZ & SE Asia. Coverage throughout Australia, New Zealand, Singapore, Malaysia, Indonesia, Philippines & Vietnam. Purchased directly from Computergate on-line store or through your local distributor/reseller. 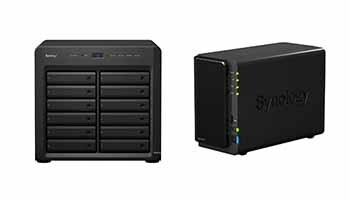 Make sure your Synology NAS is back on-line sooner. Once activated, Computergate’s Extended warranty compliments Synology’s SRS with an on-site replacement service throughout the number of years chosen. Access to our technical experts through a local in-country number or email to register your defective unit. Whether you have a registered extended warranty or not, we will be more than happy to help you. Warranty or Post Warranty service for any Synology product can be obtained through any Computergate customer service centre for any type of Service. Requesting Service support from the Service desk is a quick, easy and convenient. Visit the On-line Store to see the various service coverage and the many other products & services we now cover. Need service on your Synology device, please contact us and one of our Service Desk technicians will contact you. 1.Access to technical experts through local dedicated phone numbers. 2.Extensive portfolio of on-site services throughout SE Asia & ANZ. 3.Covers all hardware components under one agreement. 4.Service options for various on-site services tracked through registered warranty. 5.World-class Computergate support, so issues can be resolved quicker. 6.Best practice service processes for response and remediation. 7.‘Peace of Mind’ knowing you are covered and business costs maintained. 8.Many other services available on other products to support your business. Computergate provides expert vendor warranty through to end-of–life maintenance for high availability server, storage, desktop, networking and speciality related equipment, regardless of model or manufacturer, anywhere anytime. Whether you need on-going, day to day maintenance support or general coverage for break/fix services, Computergate is the right choice.